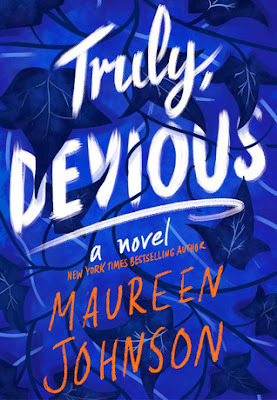 I’ve had my eye on Truly Devious by Maureen Johnson for a while now, and I was super curious to finally get started on it. I’ve read a few of Maureen’s books in the past, but it’s been a while since I read those, and I was pretty excited to read something new from her. (Yes, I’ve had the opportunity to read something new by her before now, as I own quite a few of her other books that I haven’t read yet, but I digress). I finally found this book at the top my TBR, and I’m glad that I had a chance to read it. It was an interesting book! Stevie Bell is obsessed with true-crime, and wants nothing more than to work for the FBI when she’s older. When given the opportunity to attend school at the mysterious Ellingham Academy, Stevie decides that her main goal is to solve the cold-case murder that happened there way back when the school first opened. But when a murder happens again, it’s up to Stevie to figure out exactly what’s going on, and how a similar crime from the past could be happening again in the present. I thought Stevie was an interesting main character. I love how interested she was in true-crime, and even though that’s something I am not at all into, I still found myself relating to her in many ways. I liked how quick her mind works, and I’m super curious to see how she’s going to figure things out over the course of the next two books in the series. I also really enjoyed the mysterious storyline for the book, and how it kept me guessing. I also thought that the back-story of what happened at the school in the past was interesting as well, and super curious to see how all of these things will tie together throughout the rest of the series. I read this book fairly quickly, so if you’re looking for a fun, mysterious read, this may be the book for you. Overall; I thought Truly Devious was really quick, mysterious read, and I’m really curious to see what’s going to happen in the next book. 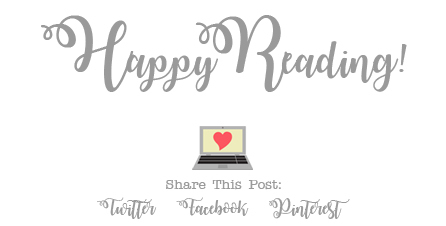 I also need to try to read more of Maureen’s books that I haven’t yet read, starting with the Shades of London series, which I keep meaning to pick up but haven’t yet. (I must do that soon!) If you’re a fan of murder mysteries, do check out Truly Devious! Ooh nice! I can't wait to read this one! I ordered it last week so I just need to work it into the reading queue somehow! Lol!! Her Shades of London series was amazing! Though I was always upset there was never a 4th book, just to warn you, it does end in a way with a few loose-ends left untied. Great review here! !